“Mint Imperials” I shouted as I applied the oil to my beard, “what are you on about!” said my wife, “this beard oil smells just like them” and then my wife switched off as I had mentioned beard oil. No. 77 Black Peppermint Beard Oil from Beard Juice is a base of Almond, Argan, Coconut, Hemp and Jojoba carrier oils with a blend of Black Pepper and Peppermint essential oils. The result is a sharp minty scented beard oil that left my beard feeling fresh and soft. Blended using oils that will help to keep not only your beard but also your skin in top condition, No. 77 Black Peppermint beard oil will help to stop that dreaded itch that sends many guys reaching for a razor. Basically you can’t go wrong by buying an oil of this quality. Beard Juice who are based in Kent, England produce some really good oils, I have so far tested No 71 – Grapefruit and No 79 – Coffee & Nutmeg but No. 77 Black Peppermint Beard has been so good that I decided to give it the Gold Cup Award that I give to the very best products. 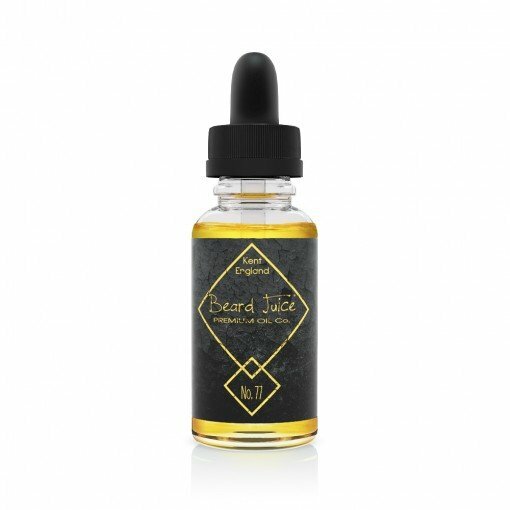 Presented in a 30ml glass bottle with the Beard Juice black and gold branding this oil stands out, the contents are able to keep up with that stylish branding and is also competitively priced at £10.90 from the Beard Juice website. Beard Juice was born from a love of the facial hair, and a desire to produce our own oil, with our choice of blended carrier oils and our choice of scent. Having used lots of beard oils from many different companies and admittedly there are some very good brands out there, we still wanted to have our own oil and fly the flag for the UK in a American led market. We’re not saying that’s a bad thing, it’s just nice to have a great UK brand in amongst the mix! Everything is hand made in Kent England. Every batch is low quantity and high quality. We only make what we need, when it’s needed. We have no desire of dominating the market and accept there are other brands which some people will prefer, after all beard oil is all about personal preference. We just want to share our products with like minded Gents who want something that is just that little bit better. We will constantly be evolving and adding to our product line, with the 5X line coming out soon. We plan to add a range of beard grooming kits, beard shampoo, beard balm and beard styling wax to name a few.